In recent years, October has been milder than average, sometimes with nicer weather than the preceding summer: last year it was 18C at Hallowe’en, the year before it was 21C! 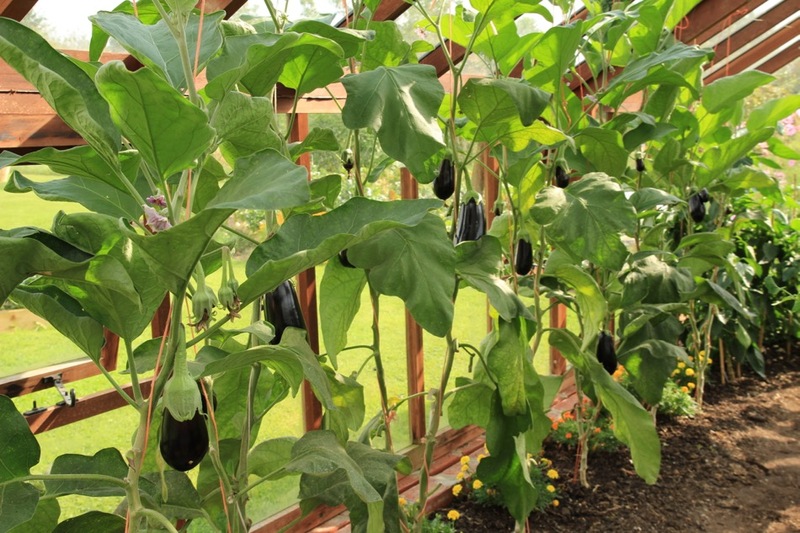 Its looking to be warm this year too and my aubergines think summer is going on. Do check the forecasts, because temperatures affect harvest dates – for example bring all squashes and pumpkins indoors before frost. Store them preferably in the house where their skins stay hard in the dry, warm air. October is a big changeover month with the last summer vegetables to enjoy, and the first winter ones coming ready. 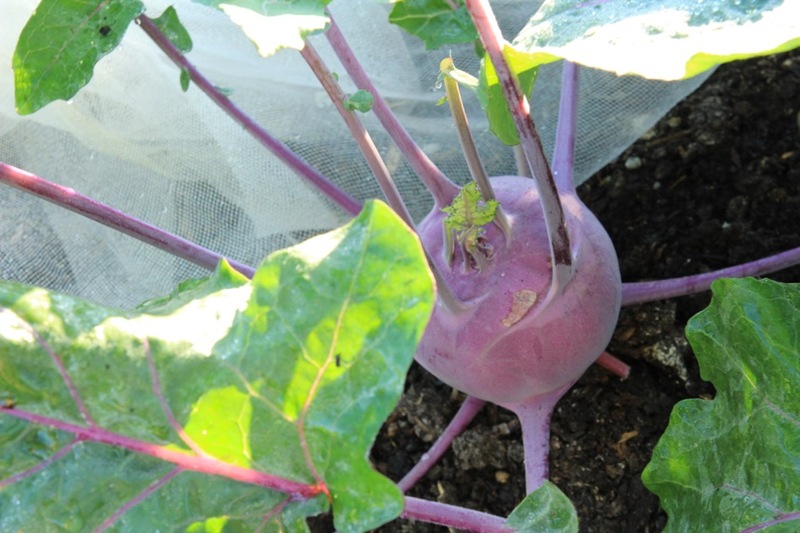 Cabbage hearts are still swelling and firming, kohlrabi are bigger each week. Leeks such as Autumn Mammoth are eating now and also make significant new growth in October. 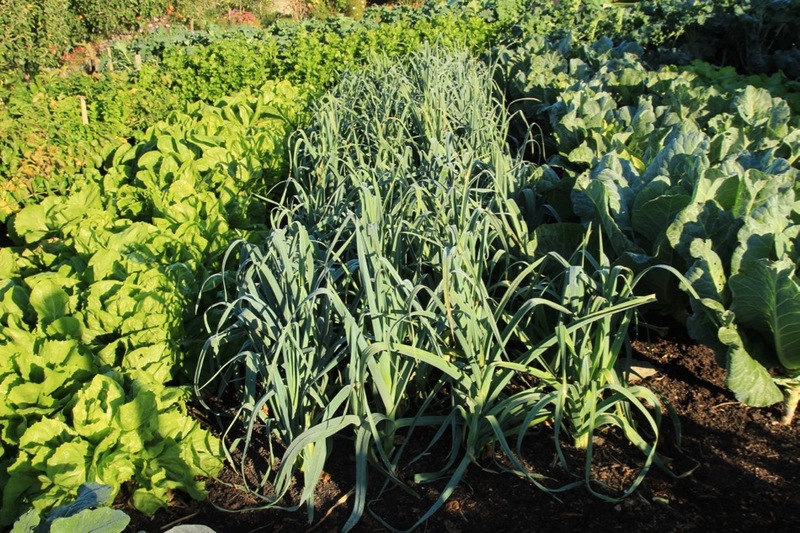 In contrast, late-maturing leeks such as Musselburgh have a lot of growing to do, until March or April, and a mulch of compost between their rows is worthwhile, unless you did that before planting. 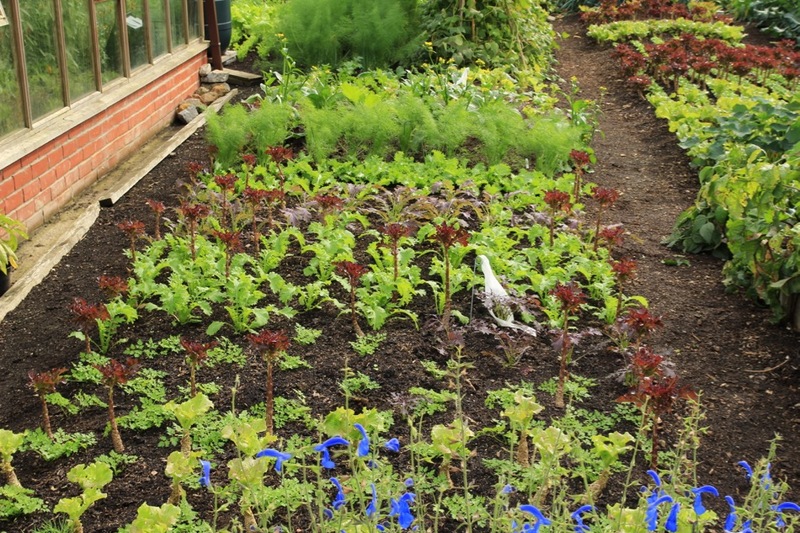 All second crops: chicory after lettuce, leek after potato, cabbage after broad bean. No compost given since last winter. Celeriac and beetroot swell noticeably in October so they are best harvested in November. 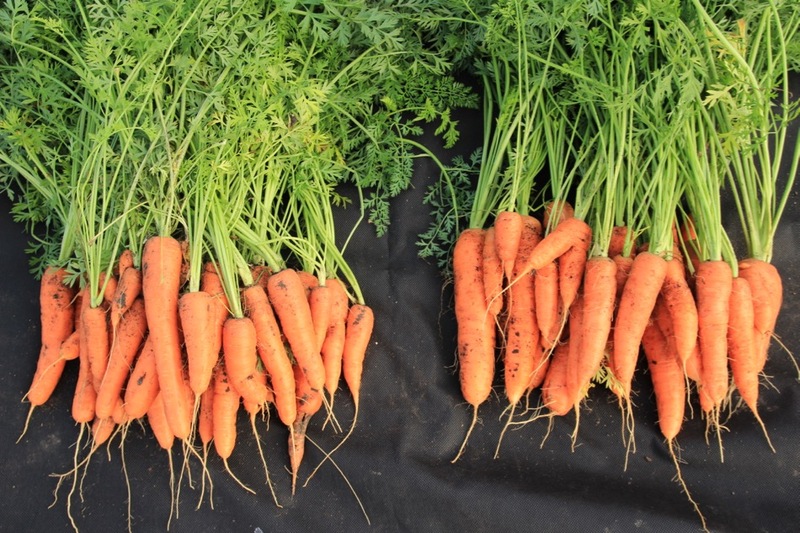 Whereas carrots are worth lifting sooner rather than later, before slugs and root flies become too interested. 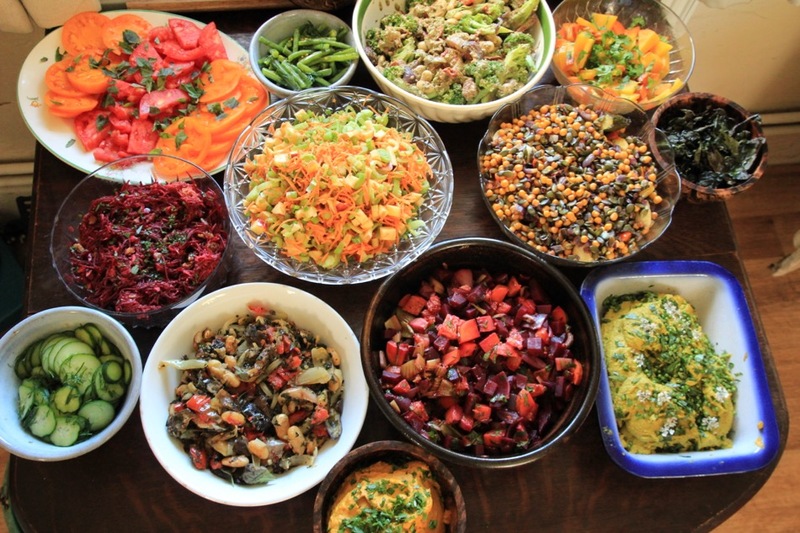 The season of abundant harvests give endless possibilities in the kitchen. Steph has surpassed herself at recent course lunches and finds it difficult to stop making new dishes, time permitting. 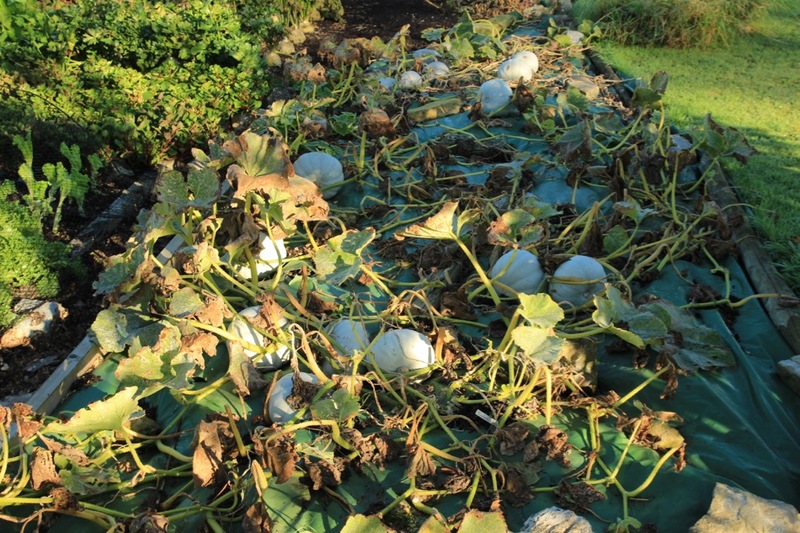 Frosty nights have variable results: even a slight freeze kills all cucurbit and tomato plants, hearts of lettuce too, while cabbage hearts can tolerate temperatures down to about -3C. 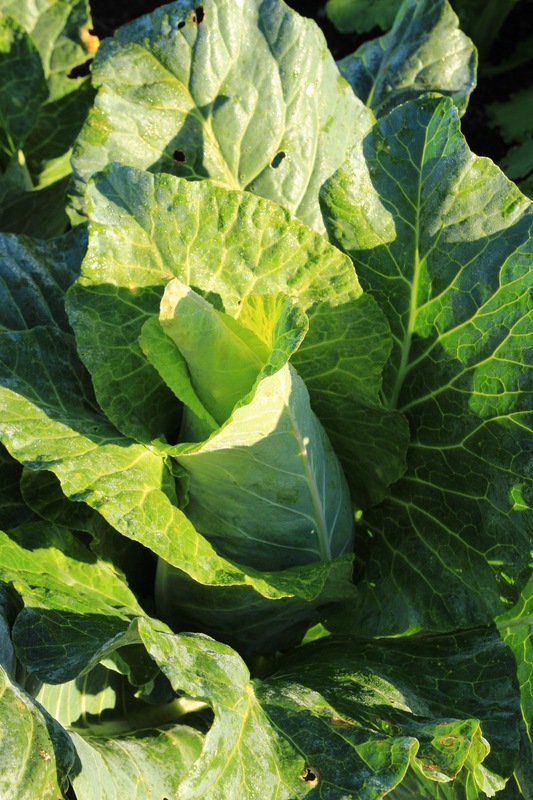 Dense hearts damage from being split when frozen, while loose hearts such as savoy cabbage can flex with the freeze and also improve in flavour, in the same way as Brussels sprouts and parsnips. Now is a good chance to weed soil and, on any cleared areas, spread compost which feeds soil and plants throughout the coming year. 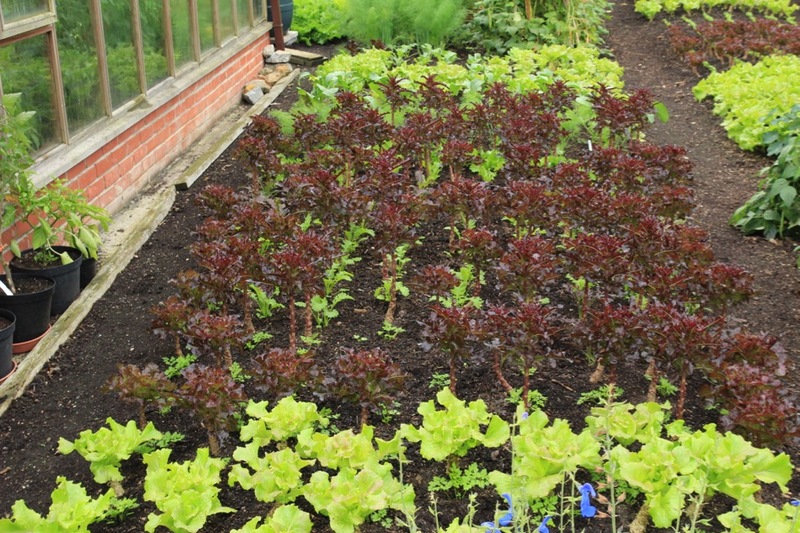 By spring the surface will be more crumbly and suitable for sowing and planting: you need to weed and lightly rake the surface in March. 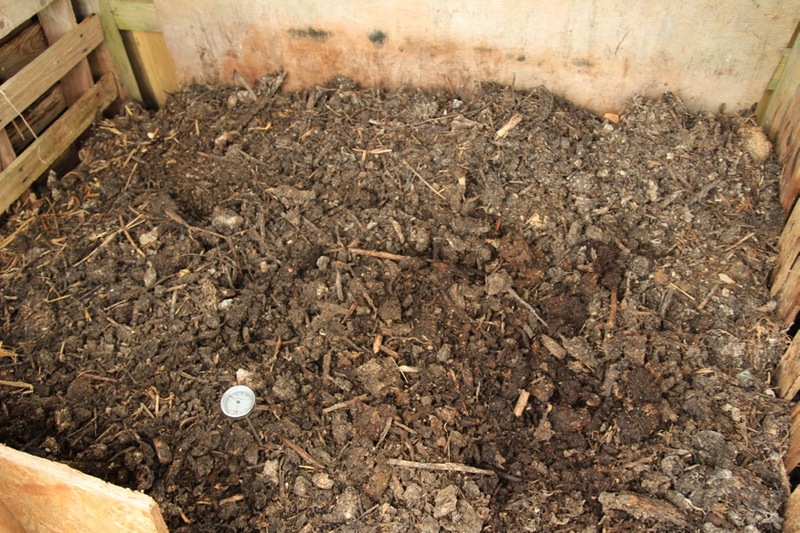 Compost of 1-2in depth is good, enough to cover the surface completely. If its lumpy, use a fork to break it into small pieces before spreading, and then frosts will break the lumps some more. Paths can be mulched too: if they are weed free, spread an inch or two of wood shavings or woody compost of any kind. If there are more weeds than you have time to pull, lay cardboard before spreading the woody layer. If your beds have wooden sides, the fertility of paths and their weediness is less of an issue because sides prevent weeds from encroaching, except for some perennials such as couch grass. Some gardeners are happy to maintain mown grass between beds with sides, others like gravel. My preference is for no sides and narrow (12-18in) paths, which I keep weed free and mulched. 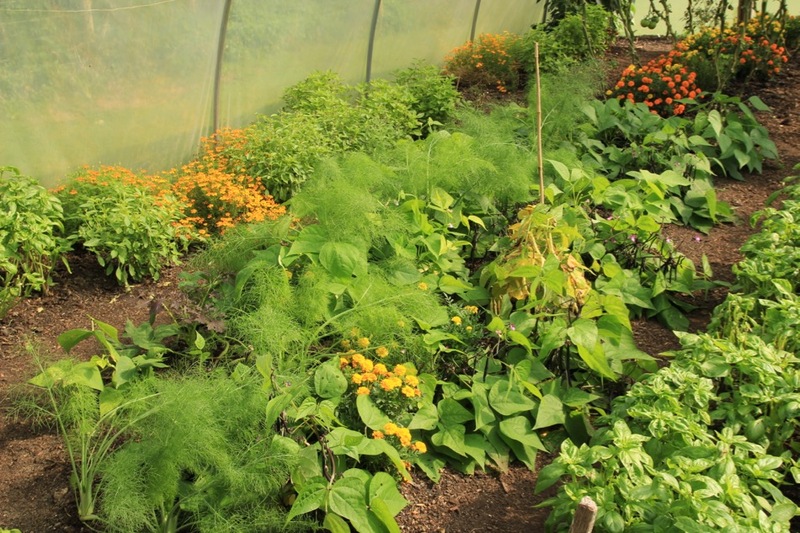 Then vegetables can root into and grow over paths, so they are not wasted space at all. Even a 12in (30cm) path is feasible for a large wheelbarrow, because with no dig there is no compaction damage caused by temporary weights on the soil, in this case from the wheelbarrow legs. Now is a good time to plant garlic, preferably and most cheaply the cloves of your best and largest bulbs; there is no need to buy fresh seed every year. Also you can now plant sets of onion varieties such as Radar. Also plant (not sow) spring cabbage and spring onions, asap. 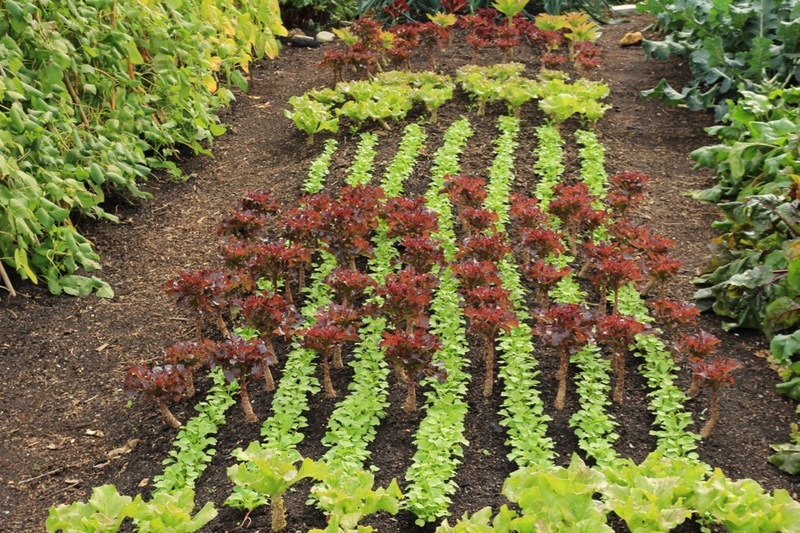 Outdoors in the south its just possible to plant (not sow) mustards, spinach, mizuna and rocket. On September 12th we sowed radish between lettuce and they should crop in three weeks. 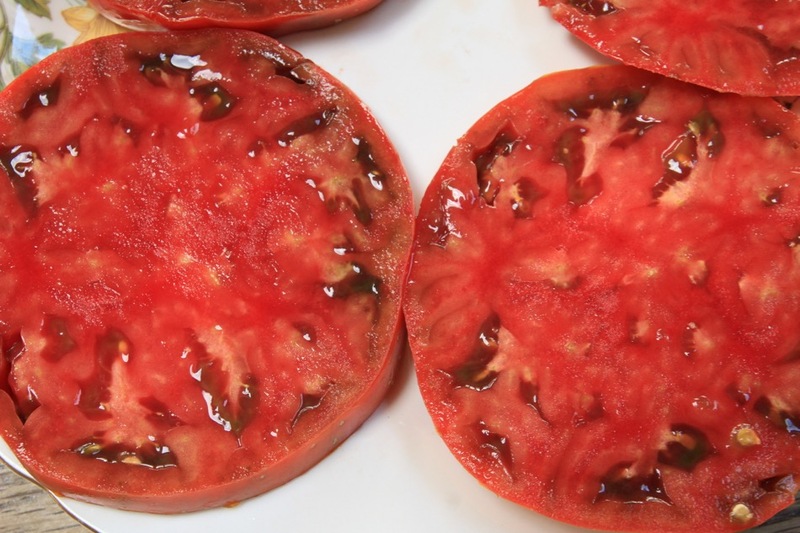 You can stop watering tomato plants in soil, completely, to encourage ripening. I last watered mine on September 21st. 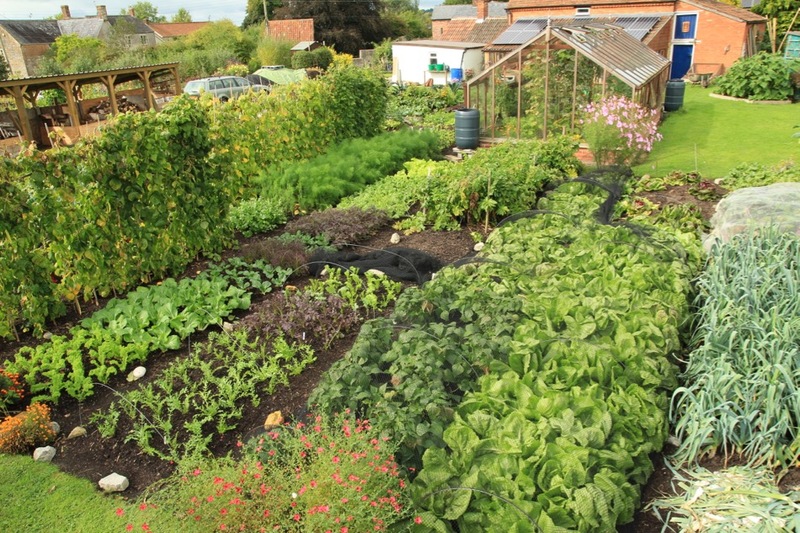 I reckon to clear them mid month, water thoroughly and then plant winter salads, spinach etc which are growing now in modules. I experimented with sowing later, around the equinox, instead of on 12th. Steph and I enjoyed the second day of a biodynamic conference at Ryton Gardens. 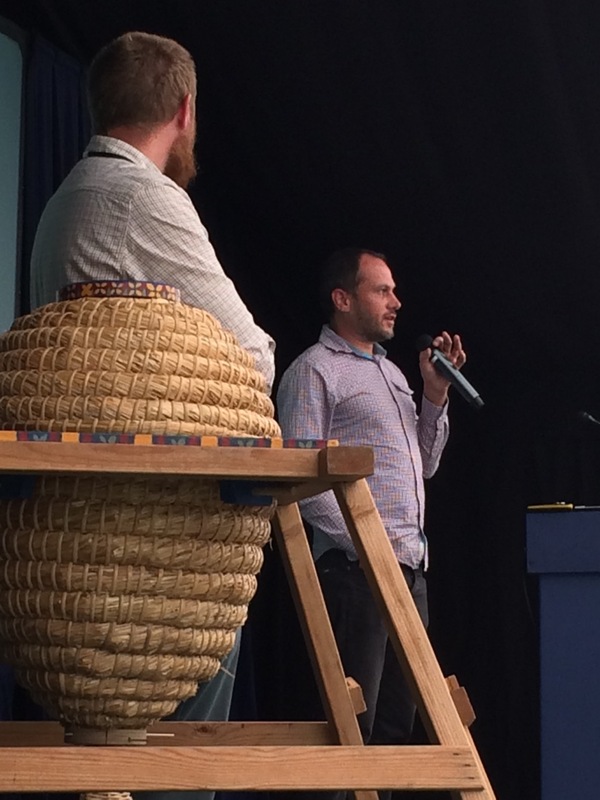 It included a talk by Robin Baxter about the successful use of bees in Ryton prison, which is engaging and interesting many prisoners. They use the approach of natural beekeeping as championed by Heidi Hermann, who had a stand at the event and I was pleased to meet her, am encouraged to buy one of the prisoners’ home made hives to install at Homeacres. 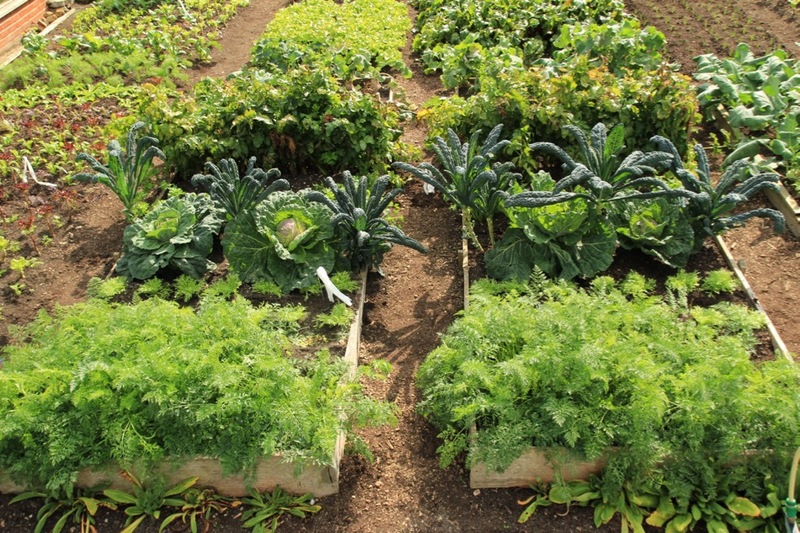 As usual, your garden looks great and bountiful! 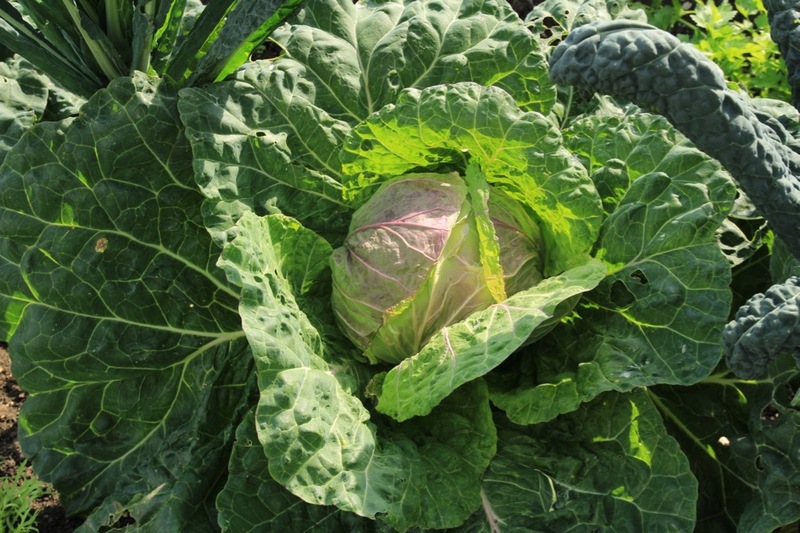 Am also amazed by how many varieties of cabbages you grow too. Will be on my list next year for sure! I am glad that you grew the Vintage Wine tomato and enjoyed it. To be honest I never really thought much about the yield. Now that you mentioned it, I have observed and realised for the past 3 years, this year included that the yield isn’t too great when I grew them in the polytunnel. Perhaps about 6ish per plant give or take. 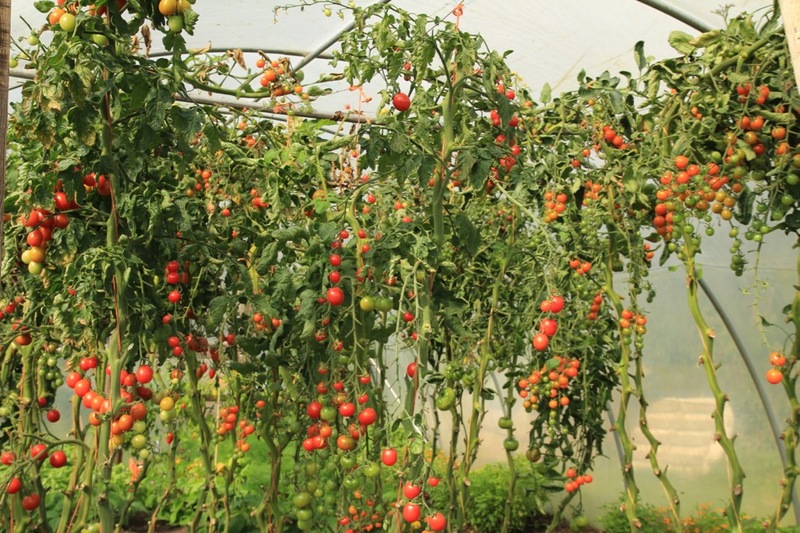 This year I also grew them outdoors in our tomato house (with a roof and 3 covered sides) and I gotta say the plant gave about double the amount. Perhaps they do better outdoors? Will do the same again next year and see if it gives the same results, with the difference in growing indoors and outdoors. 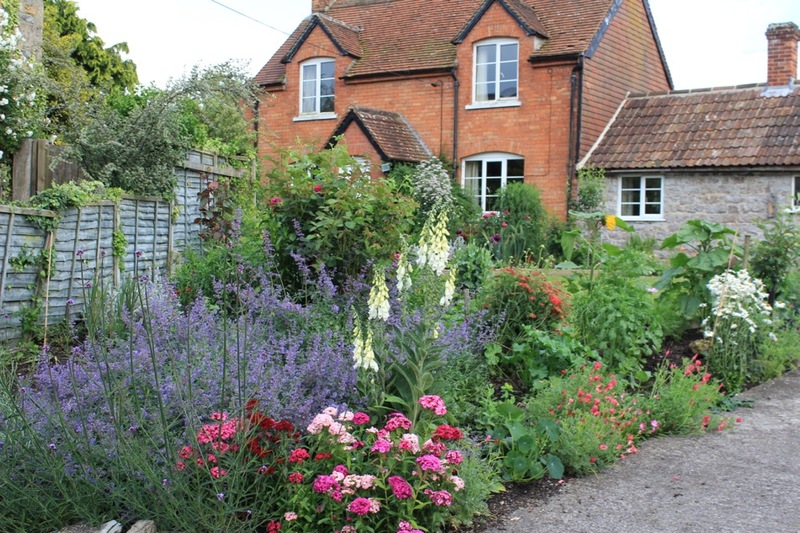 The update is always a highlight for me and its helpfull to see all the new plantings for winter and autumn. Great news about the bees too! Thanks both, nice to hear. The UK just had its warmest September since 2006, hard to believe its October on Saturday. Thank you for you update. Tomatoes look really nice. 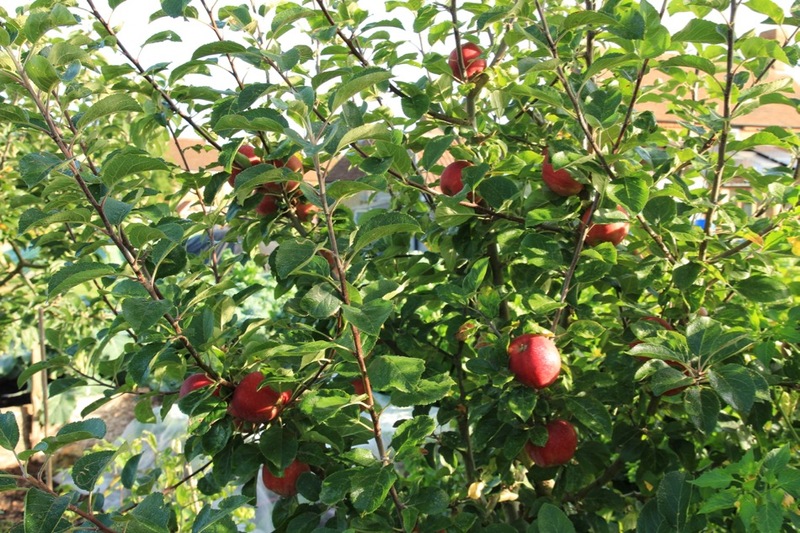 Will try them next year, planted Gardeners Delight this year which went well. Could you recommend some good medium size ones for 2017? All my leaves were rather pale in spite of adding compost and manure any suggestions as to what else to add to the soil? Hilda, nice to hear, for medium tomatoes try Matina. Not sure why your leaves were pale, maybe some seaweed to ensure enough micronutrients, or maybe what strikes you as pale is ok, just not the dark green of artificially fertilised leaves? Hello Charles – delighted to read of your interest in natural beekeeping – bees are amazing. I have 2 Warre hives. 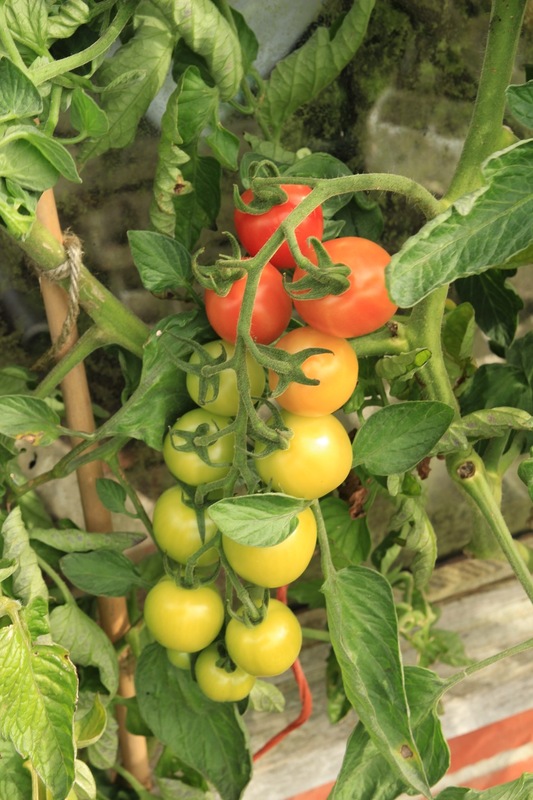 re tomatoes – Sungold were great (followed your advice there); Fantasia well worth growing – medium fruit, meaty, good taste and yield; Sweet Aperitif were nicebutsmall fruits, and Rosella very popular with family. Saint Peter gave huge very tasty fruits but had to be outside as greenhouse too full and they succumbed to blight in the end. It was really nice to have variety but need another greenhouse!! 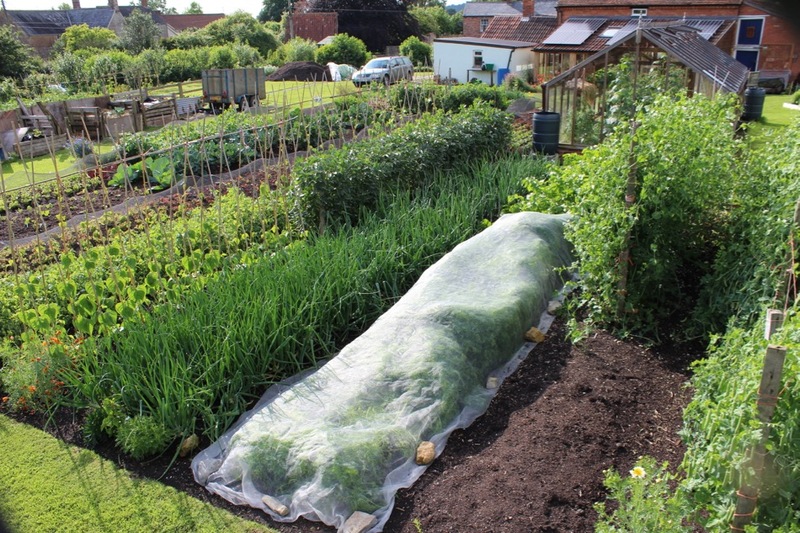 I grew the greenhouse ones in the poly potato bags from Wilko – as g/h is on slabs – they use a lot of compost but it all gets recycled so not wasted. 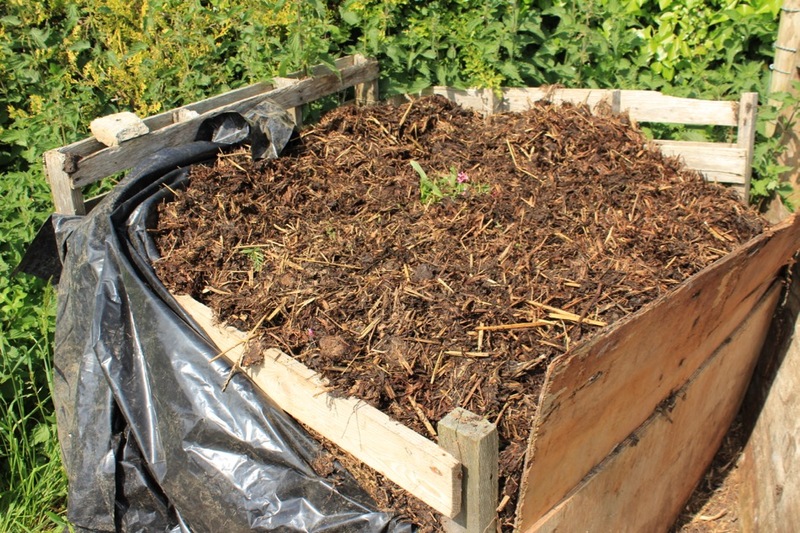 I put raised beds on my new allotment – filled them up with green waste compost -free from council – and planted straight into the very rough looking compost – everything did well – beetroot, spinach beet, courgettes and french beans. I have now made a new raised bed with no wooden sides. 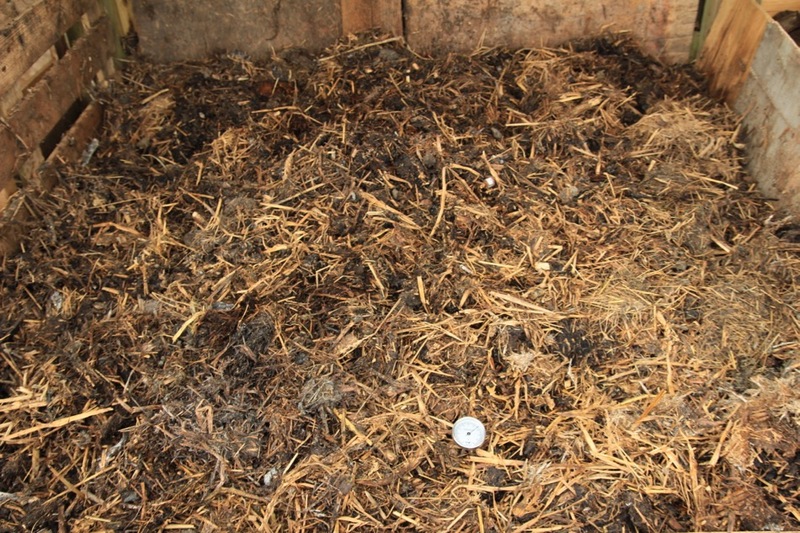 Compost this time is rotted organic cow manure. Joan J raspberries planted late winter have given good yield great flavour big fruit. Thank you for ‘getting me going’ with no-dig gardening. Hi Lizzy, great feedback and thanks for sharing your successes. One never has enough greenhouse space! I really enjoy reading and watching your experiments and how to’s. My garden is in Australia and sub tropical and have been no digging for many years. I wonder if you could put you climate temperature range, regularly in updates to give us outsiders an idea of where you are at. We are just entering the 2nd month of Spring but it is not necessarily same as your Spring for example. At the moment we are roughly 23 – 26C degrees and overnight 11 – 13C while south of us in Victoria and Tasmania “English type weather” it is 10 degreesC colder. I like to read back a few months to see what you did as a guide. Love your work. Hello Kasalia, and those sound lovely temperatures. Nice that you are reading it mirror image so to speak. Its all time permitting, I worry that I go on about the weather too much when its a gardening post, shall consider putting in some figures. Here its av. 17C by day and 5-6C by night. My son is currently further south and says its been constantly wet. It’s always a pleasure to read your monthly updates. So useful, and inspiring. You aren’t that far away, so I also have the added impetus knowing ‘your weather is my weather’ (and probably similar soil too), so that gives me no excuse!! I still need to get the knack of harvesting cut-and-come-again lettuce… those stalks (trunks?!) are truly impressive! My lettuce seems to bolt eventually… maybe I’m not picking enough, and I need to be picking a little off each plant everyday? 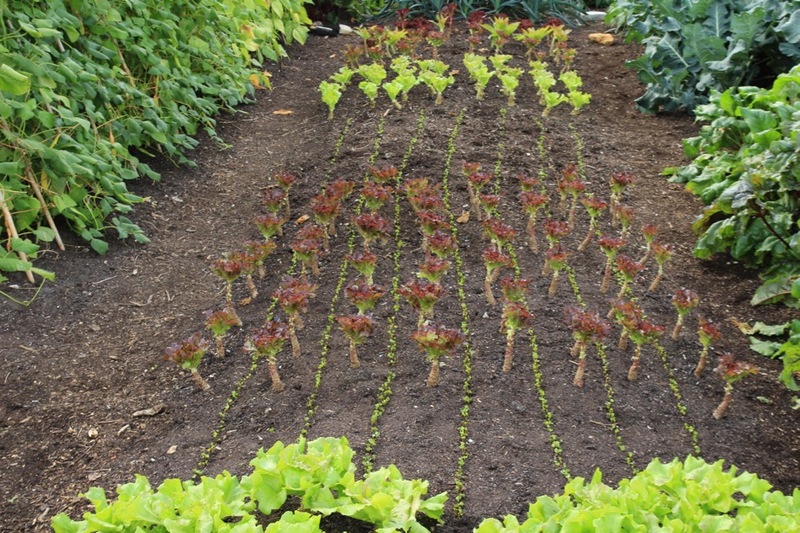 All lettuce bolt in the end, partly it depends on variety, then on soil moisture and fertility, and time of year. We pick once a week only. 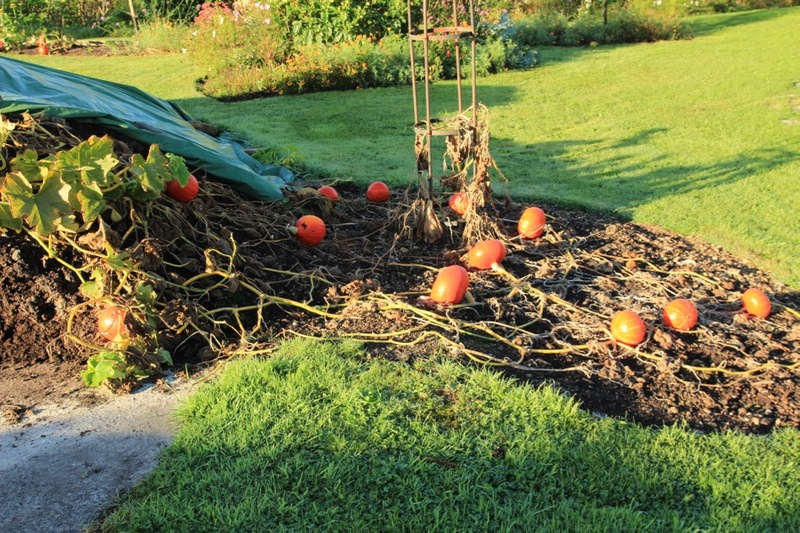 I suspect you need more organic matter though its hard to say, perhaps tree roots feeding in to your beds? I was wondering if you could have a few entries sometime on seed saving. This year I’ve added beans of all kinds to the tomato, chilli and potatoes done successfully last year. Next year I’d like to add beetroot and onion to the list if possible. In particular, if you can generate high quality seeds growing the plants in pots? Hi Rhys, best you get a book like Sue Stickland’s Back Garden Seed Saving pub ecologic books, she worked for Heritage Seed Library and has done it all. Enjoy it, another fine skill to learn.